December 11, 2015 in Whisky Talk. October 20, 2015 in News, Whisky Talk. June 17, 2015 in Whisky Talk. June 7, 2015 in Whisky Talk. March 11, 2015 in Whisky Talk. November 11, 2014 in AnCnoc, Balblair, Old Pulteney, Speyburn, Tastings & Reviews, Whisky Talk. July 19, 2014 in News, Whisky Talk. June 4, 2014 in Whisky Talk. May 8, 2014 in News, Whisky Talk. 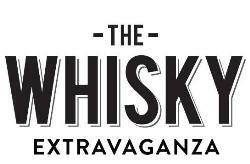 January 28, 2014 in Tastings & Reviews, Whisky Talk. January 18, 2014 in Whisky Talk. December 31, 2013 in Whisky Talk. December 20, 2013 in News, Whisky Talk. November 30, 2013 in News, Whisky Talk. October 11, 2013 in Whisky Talk. October 9, 2013 in Whisky Talk. August 2, 2013 in News, Whisky Talk.